Ladies! 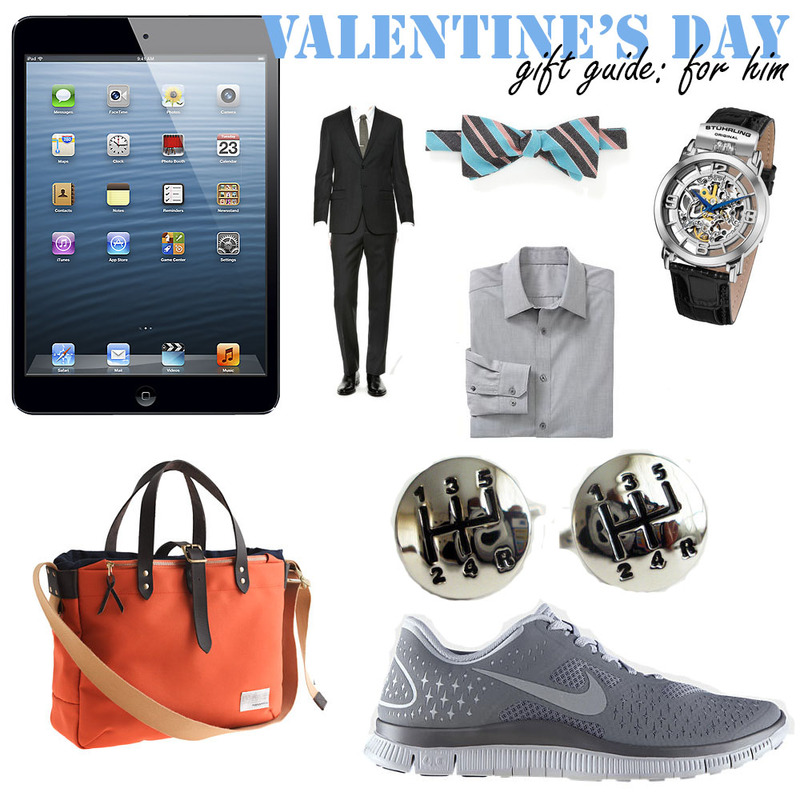 With Valentine's Day right around the corner, here is a little inspiration to get in the for-your-man-shopping mood. Just because we're women, does not necessarily mean we enjoy shopping (I don't seem to have that problem!). For those of you who don't enjoy the process of finding the perfect gift and need a little guidance, here is a little help. Hopefully these items can steer you in the right direction this Valentine's Day.